Real Madrid Finally Set To Land Manchester United Superstar? 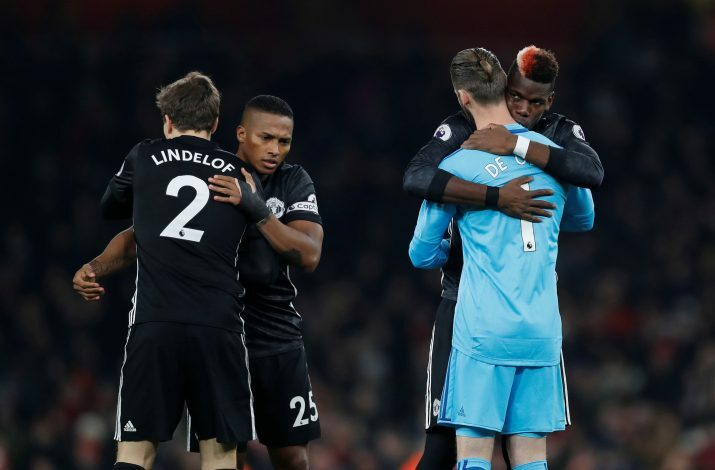 It is that time of the year again for Manchester United fans, as reports involving David de Gea’s future have reemerged. The Spanish international, who was once again United’s best player last season, has been a transfer target for Spanish giants Real Madrid for more than three years now. Florentino Perez almost signed the goalkeeper three years ago, only to miss out on the deadline day. But he has continued to be desperate to lure the player to Madrid. And it is now understood that De Gea has decided to move back to his hometown, and might quit Manchester United this summer. The Reds Devils will still be keen to retain him, but reports in Spain suggest that Jose Mourinho is already planning for life after De Gea. The Portuguese seems to have given into the 27-year-old’s interest in returning to Spain, and is looking at replacements. In fact, Diario Gol claim that Atletico Madrid shot-stopper Jan Oblak is high on their list of possible De Gea replacements. But the Slovakian international is a transfer target for Arsenal and Liverpool as well, and has a release clause of €100m, which should not be a problem for United if they end up selling De Gea. The same report goes on to claim that the Spaniard’s agent, Jorge Mendes, has already had talks with the concerned officials at Real Madrid over a potential move this summer. De Gea will travel to Russia as the first choice shot-stopper for the Spanish national side, and will hope to impress to push his move to the Bernabeu through. At just 27, De Gea has established himself as one of the best, if not the best shot-stopper in the game at the moment. Do you think Oblak can replace him if he moves to Madrid?